My wife Heather and I just returned to our home in Colorado from Miami, Florida this week. 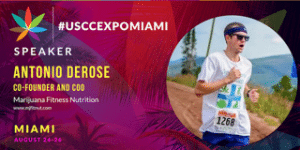 We were speaking at the U.S. Cannabis Conference and Expo about epilepsy, and the benefits of cannabis for fitness. We’ve had the opportunity to speak several times in Colorado this year, but this was our first time educating on the East Coast! 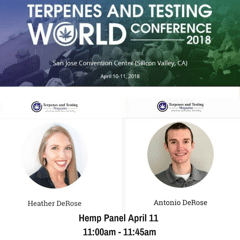 In April of this year we spoke about the benefits of hemp for athletes at the Terpenes and Testing Magazine World Conference, in San Jose, CA. Now that we’ve had the chance to speak in Florida, we’ve officially covered the U.S. coast to coast in our efforts to spread the truth about cannabis and couldn’t be more excited for what’s next! 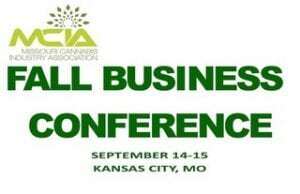 The education continues as we travel to Kansas City, MO for the MCIA Fall Business C onference, September 14-15! 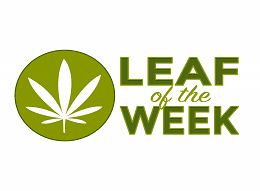 The MCIA is the Missouri Cannabis Industry Association. Missouri was our home state for our entire lives before uprooting and moving to Colorado in 2015. We’re very grateful having the opportunity to return to help spread the truth about cannabis! This two-day business conference will include workshops and speakers dealing with a wide variety of issues that face the current industry, as well as challenges that will be encountered in a new market. This is a business focused event and we will be speaking about the marketing of cannabis through athletics. 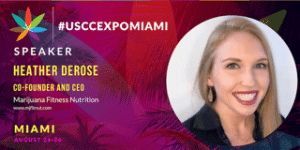 Business owners will learn best practices and strategies, why it’s important for cannabis brands to have a health and fitness focus, and how to get started. It doesn’t stop in September though! 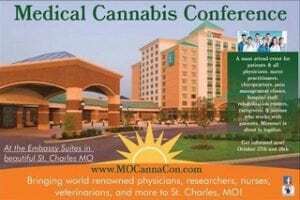 We’re going back to Missouri in October to speak at the Inaugural Missouri Medical Cannabis Conference! This two-day, patient focused event on all things cannabis is taking place October 27-28 in St. Charles, MO. The conference is for patients and physicians alike to learn from medical and industry professionals about medical cannabis. Heather and I will be sharing about our move from Missouri to Colorado and educating Missouri patients and physicians about how cannabis can be part of a healthy and active lifestyle. It’s been an incredible year for the cannabis industry so far, and I look forward to what the rest of the year has to bring. I feel very blessed having the opportunities to share the story of my relationship with cannabis, and to spread the truth about its benefits for health and fitness from coast to coast. I’m especially looking forward to returning to Missouri where medical cannabis is on the ballot for legalization this November. If you live in Missouri, vote yes on Proposition 2 to ensure an improved quality of life for Missourians!